An exciting school year of sports in the Diocese of Brooklyn has come to a close, at least until a few summer leagues kick into full gear. Let’s take a look at all of this year’s spring sports champions. 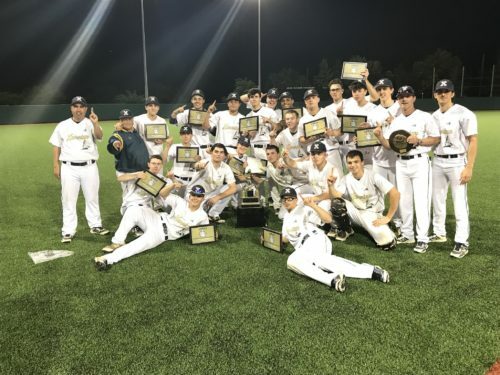 The Xaverian H.S., Bay Ridge, varsity baseball team won this year’s CHSAA ‘AA’ city championship over Iona Prep, New Rochelle, N.Y. The Clippers capped off their championship run June 8 with a 5-0 victory at Jack Kaiser Stadium on the campus of St. John’s University, Jamaica. Xaverian last won the CHSAA ‘AA’ city championship in 2014. Senior infielder Shamus Connolly earned tournament M.V.P. honors after delivering a bases-clearing triple in the top of the fourth inning and solo home run in the top of the fifth inning of the championship game. Senior starting pitcher Shane Mugnolo was dominant on the hill for 6.2 innings to pick up the win. After Mugnolo reached his pitch limit, sophomore relief pitcher Christian Giresi entered the game to record the final out. In the varsity ‘A’ division, St. Edmund Prep H.S., Sheepshead Bay, came from behind in the seventh inning to score four runs en route to a walk-off 7-6 victory over Msgr. Scanlan H.S., the Bronx. In the previous game, the Eagles also relied on some come-from-behind magic, using a seven-run sixth inning to defeat the Gaels, 13-11, to force a winner-take-all game. For his efforts, St. Edmund’s senior pitcher and first baseman Lou Lombardi was named the CHSAA ‘A’ Division Player of the Year. On the junior varsity level, Xaverian finished as runners-up to Archbishop Stepinac H.S., White Plains, for the ‘AA’ city championship. St. Edmund’s also won this year’s junior varsity ‘A’ city championship over Msgr. Scanlan. 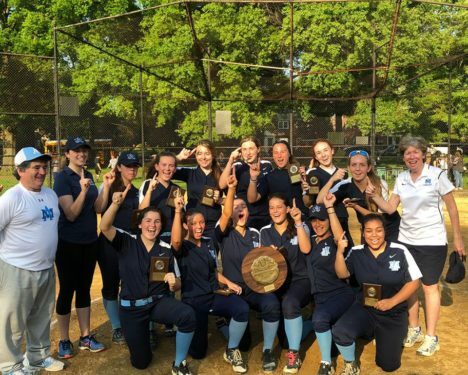 Archbishop Molloy H.S., Briarwood, took home the varsity ‘AA’ diocesan title for the second straight year and advanced to the state tournament. The Stanners lost in the state semifinals to eventual state champion Moore Catholic H.S., Staten Island. Archbishop Molloy also won the ‘AA’ diocesan junior varsity title before falling to Notre Dame Academy, Staten Island, in the city championship game. 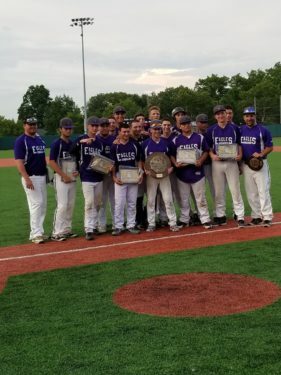 After capturing the varsity ‘A’ division diocesan title, St. Edmund Prep H.S., Sheepshead Bay, defeated St. Catharine Academy, the Bronx, to become city champions. 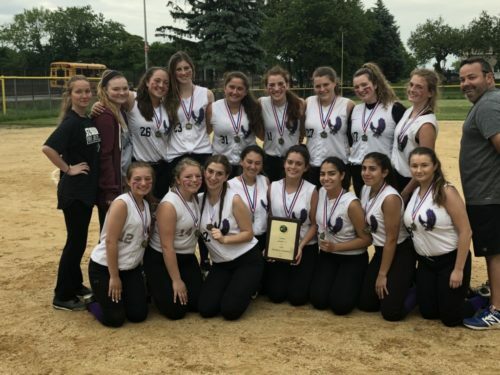 The school’s junior varsity team beat Bishop Kearney H.S., Bensonhurst, for the ‘A’ division diocesan title. In the ‘B’ division, Cristo Rey Brooklyn H.S., Flatbush, defeated Nazareth H.S., East Flatbush, to capture the diocesan crown.